Do you work in a loud office that makes it difficult to concentrate? You’re not alone! There was a study done by the University of Sydney that found the majority of all complaints from anyone in a non-enclosed office was the level of noise. If you’re one of the lucky ones that has your own office, you may still have some problems with noise because of thin walls or doors. But, the biggest group of people suffering from office noise are those working in open office environments. Collaboration with your co-workers in an open area is fantastic. However, when that same office area gets in the way of you accomplishing real work then there are problems. So, what can you do to combat your problem of noisy office spaces? Not every solution is appropriate for the office, but a white noise machine for the office is probably is one harmless way to get your work back on track and help your concentration. Why Use White Noise in the Office? White noise is a good choice for the office because it doesn’t overtly distract you. Instead, it acts as a background noise to mask other loud noises and make it more difficult for you to concentrate on the other noises happening around you. If you’re playing white noise, you will be able to ignore other voices, annoying sounds, and background distractions much more easily. Unlike music or other sounds you might want to use to block out noise, white noise machines for your office don’t actively distract other people. Most people don’t really notice white noise. If they do, it isn’t usually an annoyance. Probably the biggest advantage of white noise is that it keeps enough of your brain active to help you avoid bigger distractions, but it doesn’t fully occupy your mind. Music has words and lyrics that your brain will try to focus on and understand, and physical noise blockers like headphones or earplugs are simply uncomfortable and inconvenient in an office setting. You need to remember first and foremost that you are at a professional workplace. You can’t walk in with a big green owl-shaped noise machine and expect that to be perfectly well accepted. Some offices will be okay with less professional devices, especially if you are in an enclosed office that doesn’t deal with customers or outsiders. But, you will want to look for a professional device for your own sake. Having a more professional device will help others take you more seriously at your job. In addition, most of the better looking devices also happen to be of higher quality. Don’t try to solve a sound problem by adding a chaotic, irritating noise to the mix. The best white noise machine for the office is going to have a good quality of sound. For this reason, you might want to look into an acoustic sound machine or sound conditioner instead of an electric model. Electric sound machines are great if you can get the right type. Look for a good, quality speaker and a non-looping white noise sound with variations. Try not to get a device that is stuck on one particular setting, just in case you don’t like it or your co-workers can’t concentrate with those sounds. If it’s too loud or too quiet, you may as well not have a white noise machine at all. On the other hand, if it only plays the sound of ocean waves or Zen music you might be equally as frustrated. Give yourself some options so that you can make the most peaceful office environment possible. This advice doesn’t always apply to acoustic sound machines. While they have adjustable volume, the sound produced is not really adjustable. However, they still are a great option for the office as the sound being played is a classic white noise sound. What is the point of buying a white noise machine if it doesn’t even do what you want it to do? Get a device that plays actual white noise, pink noise, brown noise, or red noise to mask the ambient noise going on around you. 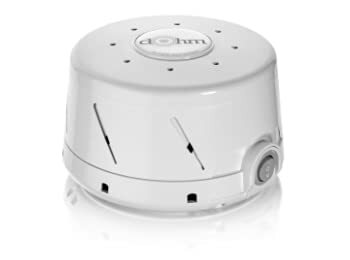 Here is one white noise machine that fits every requirement for great value in the office. It has 20 different sound options, 10 of which are variations of white noise while the other 10 are different fan sounds. Choose whichever noise suits you and your coworkers best. Each one of the sounds might be better or worse for a particular office environment, so play around until you get it right! This is a very easy noise machine to carry around with you. It’s lightweight and compact, so moving it around the office or back and forth from home each day isn’t a problem. It also has a very polished look that makes it very appropriate for the office. 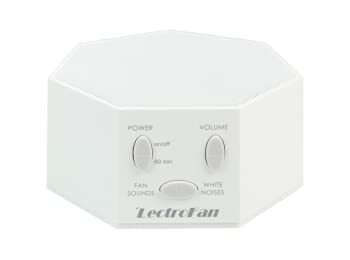 When you need a white noise machine for your office, this LectroFan is not a bad choice to consider. It has everything you really need for your office, and it’s so easy to use and transport. The biggest downside you might find is either if you don’t like the sounds it gives off or if you need something that can play at a very high volume level. Otherwise, LectroFan has made a very solid white noise machine for the office. 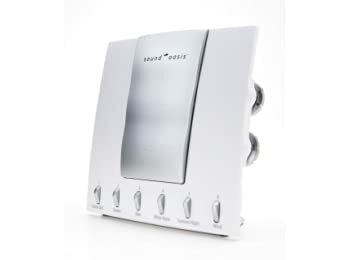 Many people consider this to be one of the best white noise machines available on the market. It’s been a consistent best seller on many only stores and there are great reviews about it on a lot of different websites. It’s useful for the office because it produces a very rich, full white noise sound that blocks out a lot more noise that some other devices. This is a natural noise machine, meaning that it makes the noise in the device. There is a small fan built inside an acoustic chamber. The fan runs and the sound echoes out of the device to make the non-repetitive, pleasant noise you’ll hear on the other side. You can adjust the tone and volume by twisting the top dome part left or right. There are two speed settings that will control sound of the fan. The higher speed will be a little bit louder and have a slightly different sound than the lower setting. On low speed this machine takes very little power and still provides a great sound. If all you need is white noise, you can’t find a better device than this. There is no comparing natural white noise to recorded white noise; the natural noise always sounds better! However, this device is a bit too big to be carrying around all the time so if you don’t just leave it in your office or on your desk than you might consider a smaller and more compact unit instead. 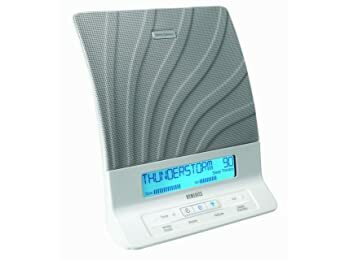 A Homedics sound machine like this one is typically used for aiding sleep, but it’s just as good for use in the office. This machine lets you choose between 4 unique white noise sounds, 4 different water sounds, plus an additional 4 nature sounds. Some of the sound can be combined for an even better effect. All sound comes from dual speakers put together to give a high quality sound. This is a larger device than some of the others on the list, but that’s partially because of the speakers used. There are two speakers in the grill, adding to the sound quality and helping the machine to produce a much better sound. You can even adjust the bass and treble to get the perfect tone you want. The amount of adjustments that can be made on this white noise machine gives it a high place in our list. It’s also a good looking machine that won’t make your office look bad. But, the electrical faults in volume can be an issue. Homedics seems willing to replace faulty devices, but if you don’t want to risk that than you might choose a different machine. Want a device that will seamlessly blend into your office space? The Sound Oasis machine might do the trick. It’s got 6 different nature sounds to choose from that all have built-in white noise in the background, so they still have the masking effect. Sounds are played as recorded clips, but those clips are very long and it’s difficult to notice when they loop. You can also replace the sound card to get a new set of white noise sounds. If you don’t have convenient outlet in your office, this machine can be great because it’s battery powered or adaptor powered, depending on what’s there for your use. This device doesn’t have the best sound quality and may even have the lowest on this list, but it’s useful nonetheless when you need to mask loud office sounds. Volume can be adjusted quite high to cover up any and all sounds you might be disturbed by at work. You won’t get the full and rich sounds that some of the white noise machines give you, but this is still a fantastic device for the office because of its great look and flexibility. If you don’t like any of the sounds that come with the machine, get a new sound card and try a few new sounds. Anyone interested in having more features will like this white noise machine. It has a high quality speaker that can play all of the sounds. More than 10 different natural options, including a non-repeating white noise sound, can be set on the device. Beyond that, sounds can be set to various richness settings to add or remove extra details from the base sounds. For example, more richness in the ocean sound might add occasional seagulls in the background. Another great feature from this machine is the adaptive sound technology created by the manufacturer. This feature makes the sound volume automatically adjust when ambient noise in the area increase. Even when there is a sudden loud noise, the machine will compensate in order to mask it out as well as possible. With this feature you won’t be disturbed by even the random annoying sounds that would normally break through the wall of sound from a sound machine. 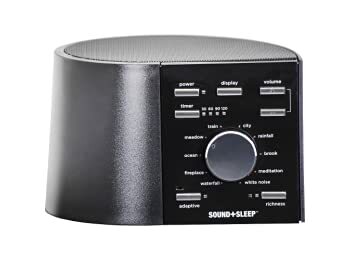 If noise in your office is uneven and a regular white noise machine won’t do the trick than the Adaptive Sound model will almost certainly be your best friend at work. This machine works well and gives you a lot of options to make sure you’ll find something you like. Sometimes you can get a faulty model, but customer service should be able to help you solve the issues and get back to using your machine in the office. Out of all of the choices above, it’s my opinion that the LectroFan model is the best white noise machine for the office. This is based on a few things. First, it’s got a polished, professional appearance. Secondly, it sounds great on any sound setting. Lastly, it’s very easy to use. You won’t have to spend time learning to set the machine or getting it ready every day. Just place it where you want in your office and turn it on. If you want to take it back home with you after work, you can pack the LectroFan in almost any bag. These facts combined with the rest of the device features make it a perfect choice for use at the office. Hopefully when you use this or any of the other models mentioned here you’ll finally be able to concentrate and feel great at work!